The Amazon Instant Video service (formerly known as Amazon Video On Demand) (the "Service") offers digitized versions of movies, television shows, sporting events, news events, and other video content (collectively, "Digital Content") and other services under certain terms and conditions as set forth in this Agreement. The Service allows you to access and view Digital Content in two different ways: by streaming a copy, or by downloading a copy. As indicated on the product detail pages of the Service, some Digital Content may be available for streaming only, some Digital Content may be available for download only, and some Digital Content may be available for streaming and download. In order to be able to stream or download Digital Content from the Service and to view Digital Content on the Service, you will need to use a personal computer, portable media player, or other device that meets the system and compatibility requirements that we establish from time to time and is otherwise capable of interacting with the Service (each such device, a "Compatible Device"). Some Compatible Devices may be used only to stream Digital Content, some Compatible Devices may be used only to download Digital Content, and some Compatible Devices may be used to stream and download Digital Content. We may change the requirements for Compatible Devices from time to time and, in some cases, whether a device is (or remains) a Compatible Device may depend on software or systems provided or maintained by the device manufacturer or other third parties. As a result, devices that are Compatible Devices at one time may cease to be Compatible Devices in the future. Due to restrictions placed on us by our content providers, we are currently only able to make the Service available to customers located in the United States. We regret that you may not use the Service if you are outside of the United States. "United States" refers to the 48 contiguous United States, the District of Columbia, Alaska, Hawaii and Puerto Rico. 4. ALL RENTALS AND SALES FINAL. A. GENERAL. The Service may allow you to: (i) rent Digital Content for viewing over a limited period of time ("Rental Digital Content"), (ii) purchase Digital Content for viewing over an indefinite period of time ("Purchased Digital Content"), (iii) access Digital Content on a subscription basis for viewing over a limited period of time during a subscription period (for example, through Prime Instant Video) ("Subscription Digital Content"), and (iv) access Digital Content on a free or promotional basis for viewing over a limited period of time ("Free Digital Content"). Digital Content may be available on the Service as Rental Digital Content, Purchased Digital Content, Subscription Digital Content, Free Digital Content, or any combination of those. The basis on which Digital Content is available on the Service will be indicated on the product detail page for that Digital Content on the Service. From time to time, we may add or remove Digital Content from the Service and may change the basis on which Digital Content is available on the Service. B. USAGE RULES. Your use of Digital Content is subject to the Amazon Instant Video Usage Rules (the "Usage Rules"). The Usage Rules provide important information regarding your use of Digital Content, including the time period during which you are authorized to view different types of Digital Content (the "Viewing Period" for that Digital Content) and limitations on the number and type of Compatible Devices on which each type of Digital Content may be downloaded, streamed, and viewed. C. SUBSCRIPTIONS . Our subscription services are dynamic services and the specific Subscription Digital Content available and amount of Subscription Digital Content available will generally change over time. We make no guarantee as to the availability of specific Subscription Digital Content or the minimum amount of Subscription Digital Content available in any subscription. Additional terms applicable to a subscription (such as the applicable cancellation and refund policy) will be indicated on the informational pages for that subscription. D. LICENSE TO DIGITAL CONTENT . Subject to your payment of any applicable fees (including applicable taxes) to rent, purchase, or otherwise obtain access to Digital Content, and your compliance with all other terms we specify for Digital Content or the Service, Amazon grants you a non-exclusive, non-transferable, non-sublicensable, limited right and license, during the applicable Viewing Period, to access, view, use and display the Digital Content in accordance with the Usage Rules, for Non-Commercial, Private Use. As used herein, "Non-Commercial, Private Use" means a presentation of Digital Content for which no fee or consideration of any kind (other than that which you pay to us to view the Digital Content) is charged or received, which takes place in your private home or apartment or, if outside your private home or apartment (e.g., in a hotel room, dorm room, office, or airport waiting lounge) is limited to a private viewing for you and your invitees. Non-Commercial, Private Use specifically excludes any public presentation (e.g., a presentation in a dorm lounge) and any presentation by a place of public accommodation or other commercial establishment (e.g., a bar or restaurant), even if no fee is charged for viewing the Digital Content. To simplify your viewing and management of Digital Content that has a limited Viewing Period (such as Rental Digital Content and Subscription Digital Content), we may automatically remove that Digital Content from your Compatible Device after the end of its Viewing Period, and you consent to such automatic removal. E. AVAILABILITY OF PURCHASED DIGITAL CONTENT . Purchased Digital Content will generally continue to be available to you for download or streaming from the Service, as applicable, but may become unavailable due to potential content provider licensing restrictions and for other reasons, and Amazon will not be liable to you if Purchased Digital Content becomes unavailable for further download or streaming. You may download and store your own copy of Purchased Digital Content on a Compatible Device authorized for such download so that you can view that Purchased Digital Content if it becomes unavailable for further download or streaming from the Service. A. USE OF THE SOFTWARE. We may make available to you software for your use in connection with the Service (the "Software"). 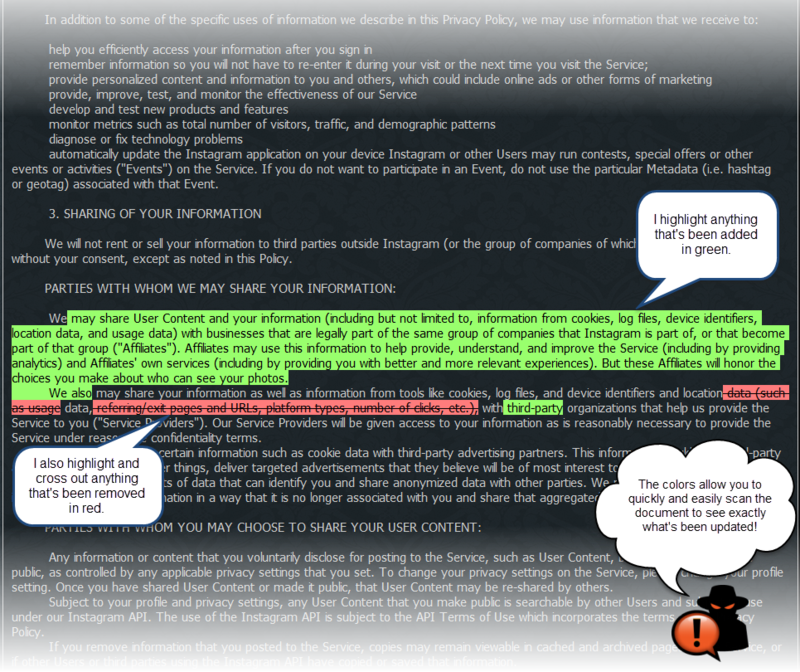 Terms contained in the Amazon.com Conditions of Use apply to your use of the Software. For additional terms that apply to certain third party Software, click here. B. INFORMATION PROVIDED TO AMAZON. The Software may provide Amazon with data about your Compatible Device and its interaction with the Service (such as device type and unique device identifiers that allow us to link your Compatible Device to your Service account). The Software may also provide Amazon with information related to the Digital Content you download and stream and your use of that Digital Content (such whether and when you viewed the Digital Content, which may, among other things, help us measure the Viewing Period for Rental Digital Content). Any information we receive is subject to the Amazon.com privacy notice located at www.amazon.com/privacy. A. TERMINATION . If you violate any of the terms or conditions of this Agreement, your rights under this Agreement will automatically terminate without notice from us, and Amazon may, in its discretion, immediately revoke your access to the Service without notice to you and without refund of any fees. In such event, you must delete all copies of Digital Content that you have downloaded, and Amazon shall have the right, without notice to you, to automatically discontinue your access to Digital Content from the Service. B. EXPLICIT CONTENT. You understand that by using the Service, you may encounter content that may be deemed offensive, indecent or objectionable, which content may or may not be identified as having explicit language or other features. Nevertheless, you agree to use the Service at your sole risk, and Amazon shall have no liability to you for content that may be found to be offensive, indecent or objectionable. Content types (including genres, sub-genres, and categories and sub-categories and the like) and descriptions are provided for convenience, and you acknowledge and agree that Amazon does not guarantee their accuracy. C. MODIFICATION OF SERVICE. Amazon reserves the right to modify, suspend, or discontinue the Service, or any part thereof, at any time and without notice to you, and Amazon will not be liable to you should it exercise such rights, even if your use of Digital Content is impacted by the change. D. AMENDMENTS. Amazon reserves the right to make changes to this Agreement at any time. Your continued use of the Service following any such changes will constitute your acceptance of such changes. E. THIRD-PARTY BENEFICIARIES. Content providers providing Digital Content that you rent, purchase, or view on the Service are intended third-party beneficiaries under this Agreement. F. DISPUTES/BINDING ARBITRATION. ANY DISPUTE OR CLAIM ARISING FROM OR RELATING TO THE AGREEMENT OR THE SERVICE IS SUBJECT TO THE BINDING ARBITRATION, GOVERNING LAW, DISCLAIMER OF WARRANTIES AND LIMITATION OF LIABILITY AND ALL OTHER TERMS IN THE AMAZON.COM CONDITIONS OF USE AT HTTP://WWW.AMAZON.COM/CONDITIONSOFUSE . YOU AGREE TO THOSE TERMS BY ENTERING INTO THE AGREEMENT OR USING THE SERVICE. G. LIMITATION OF LIABILITY. Without limiting the Disclaimer of Warranties and Limitation of Liability in the Amazon.com Conditions of Use: (i) in no event shall our or our software licensors' total liability to you for all damages (other than as may be required by applicable law in cases involving personal injury) arising out of or related to your use or inability to use the Software exceed the amount of fifty dollars ($50.00); and (ii) in no event shall our or our Digital Content providers' total liability to you for all damages arising from your use of the Service, the Digital Content, or information, materials or products included on or otherwise made available to you through the Service, exceed the amount you paid to us to purchase, rent, or view the Digital Content related to your claim for damages. These limitations will apply to you even if the remedies fail of their essential purpose.